Thirty years ago, Saturday schools that helped children learn French and become bilingual did not exist in the UK. What has changed since then ? The "petites écoles FLAM". What is a "petite école FLAM"? FLAM comes from “français langue maternelle”. These schools teach the language of Molière all around the world, on Saturday morning or on week days after school. The only children who can be registered are those with at least one Francophone parent and who are studying in a British school. With 2 or 3 hours a week, children are able to learn the basics of the French language and establish strong foundations such that they can probably continue their studies on the other side of the Channel. There are more than 40 FLAM structures in the UK, including 15 in London. More and more parents are looking for a place in these local schools so that their offspring can learn the language properly. This could be compared to CNED lessons (correspondance courses for long-distance learning), except that these schools accept pupils from 3 years old. Furthermore, they are in a group and can speak French together each week which is far more efficient than sitting at a desk on their own. How do these schools work ? La Petite Ecole d’Ealing is the oldest FLAM structure. They celebrated their 30th anniversary in July. The school’s president Christian Ravel also manages the Parapluie FLAM. This association has been helping the “petites écoles” for three years. They give them books and pedagogical training to the teachers and advise them on how to manage their operations. There are FLAM structures of all sizes: some of them take 50 children while others have capacity for 350. 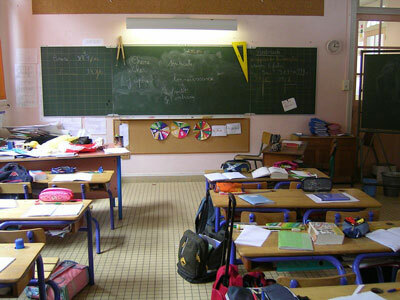 Pupils are divided into classes according to their age and French level. Children will learn quickly as there are no more than 15 per class. How can I create my own FLAM school ? You do not need to work in a school to be able to create your own FLAM structure. Most of the “petites écoles” founders are parents who could not find an establishment in their neighbourhood. They then found teachers to take care of the children. 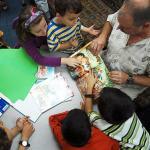 You can apply for a subsidy from the Agency for French Teaching Abroad (AEFE). This reducing subsidy can be given for up to 5 years to non-profit structures. You should however be careful, as it is sometimes hard to maintain the school without this financial help. Parapluie FLAM can also help you to manage your costs. In North west London suburb, La Farandole, Rickmansworth, has also been present for the French speaking community for over 27 years. 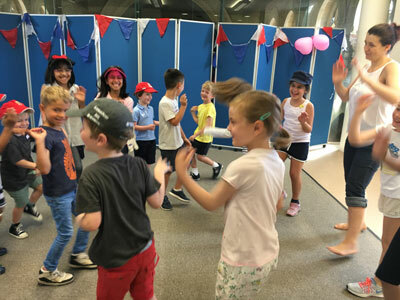 The Alliance Francaise in Glasgow has been running Saturday classes for more than 30 years for children whose parents want them to learn to speak French.